Free spirits to some, mercenaries to some others -- the T20 swashbucklers from the West Indies are expectedly lighting up the IPL and for the first time in decades, igniting hopes of an international revival with the World Cup being their stage. Only a month and half is left for the ICC 50-over showpiece in England and the sought-after T20 freelancers from the assortment of Caribbean islands could shape the agenda of the marquee event, which has been won twice by them but back in 1975 and 1979. The likes of Kieron Pollard, Sunil Narine and Andre Russell could well be back in the mix to wear the Windies maroons in England. Sample this: Between Chris Gayle (18), Kieron Pollard (17) and Andre Russell (25), the West Indians have accounted for 60 sixes in the first three weeks of the T20 extravaganza. "There's been a lot of turmoil in West Indies cricket over the last couple of years. 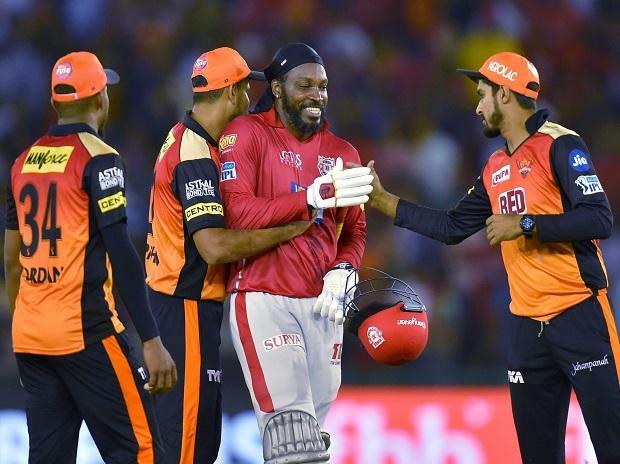 But things have changed in the past couple of weeks," Pollard said after his incredible 31-ball 83 for Mumbai Indians in a successful chase against Kings XI Punjab on Wednesday night. "I was one of the guys blacklisted. The most I can do is to put runs on the board every time I step out on the cricket field," he added. And no one knows it better than Andre Russell 2.0, which has, in the past one year, emerged from shadows of 'Muscle Russell', an erratic talent sporadically playing a great knock. Mahendra Singh Dhoni put it with a straight face in the Chennai Super Kings documentary 'Roar of the Lion' about Russell's power-hitting. "You can a have fielder inside the circle, outside the circle but not outside the stadium. Even parents of cricketers watch matches. One shouldn't be so ruthless," Dhoni had said about Russell referring to a match against KKR in Chennai during the 2018 edition. And last but not the least is 'The Universe Boss', who is expected to once again stand and deliver in a few matches, while flashing his toothy grin. The Jamaican 'Rum Punch', in fact, could just be ideal for the cricket lovers in the fickle English weather as Gayle gears up for his final hurrah.